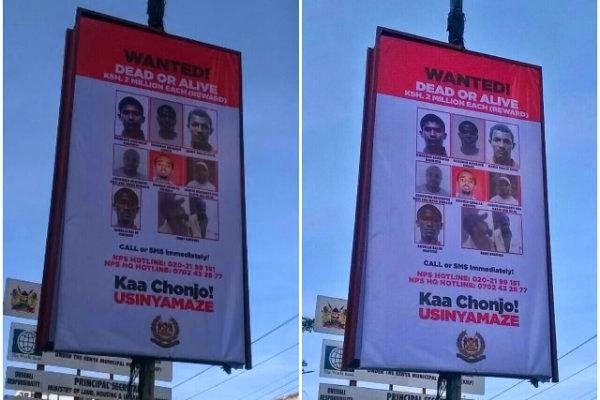 Police in Mombasa county have mounted large billboards showing the photos of the most wanted terror suspects in the country. Terror suspects are Mohamed Abubakar Mohamed, Suleiman Mohamed Awadh, Mahir Khalid Riziki, Abdifatah Abubakar Abdi alias Musa Muhajir and Hamisi Mwacheti also known as Rasta aka Bilal. 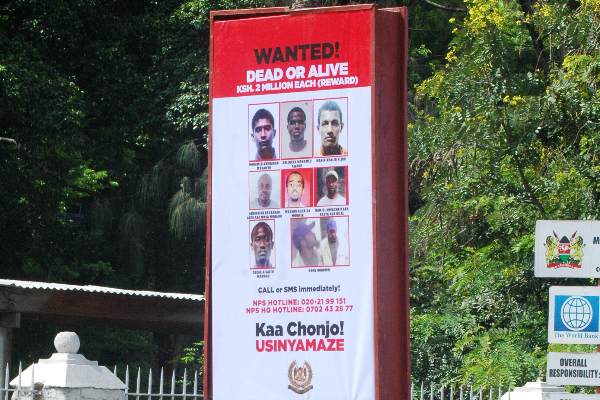 Apart from this, the police have also put a bounty of kshs 2 million to anyone who might have information regarding any of the suspects listed on the board. Another initiative that the Mombasa county police has come up with is to allow the radicalised youth to surrender within a 10 day period and they will not be prosecuted. failure to do so, they will be regarded as normal alshabaab terrorist and face the harsh arm of the law.